Make 2 stacks of 3 pitas and cut in half and then into 8 wedges. 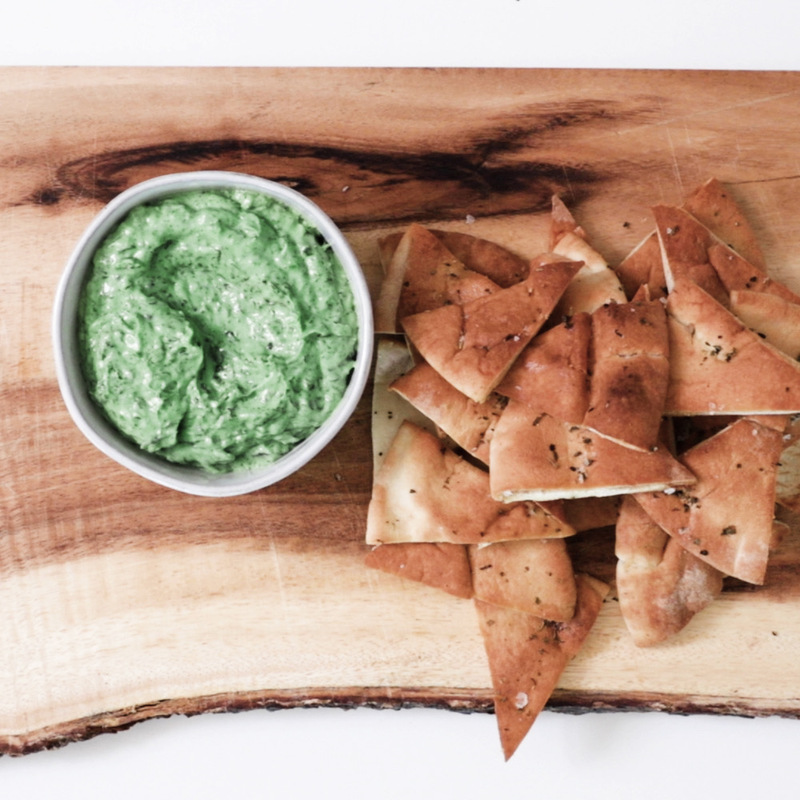 Arrange the pita wedges on a large baking sheet, lined with parchment paper. Season with salt, oregano and olive oil; toss well and spread out the wedges evenly. Bake approximately 10 minutes, or until toasty and golden. In a blender or food processor, add the basil, green onions, parsley, tarragon, garlic, yogurt, lemon juice, avocado, salt and pepper and mix well. Slowly stream in olive oil. Season to taste with salt and pepper, if needed, drizzle with more olive oil and serve with pita chips.